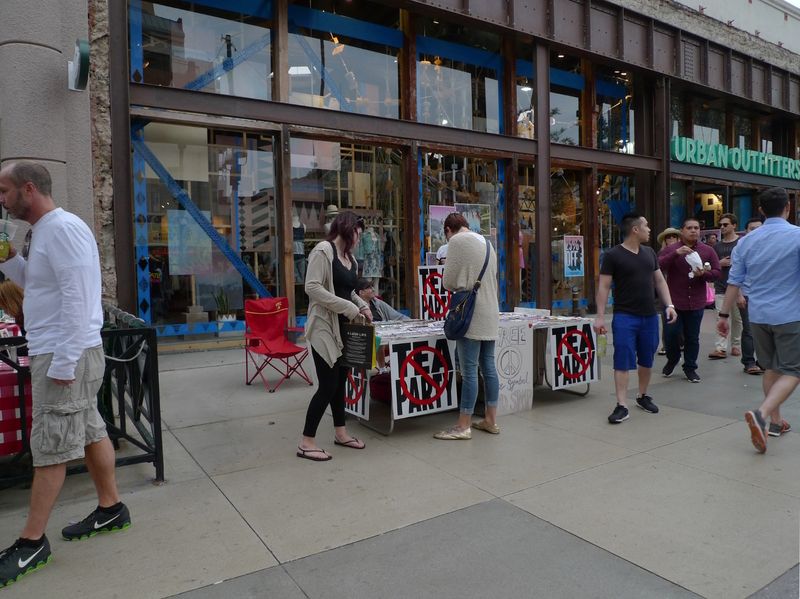 It took a really long time between taking these photos and sitting down to write a post. But now I’ve already met all the urging deadlines, managed to make my way through yet another academic year and finally am able to spend some time dusting off my blog. I’ve certainly missed this place! 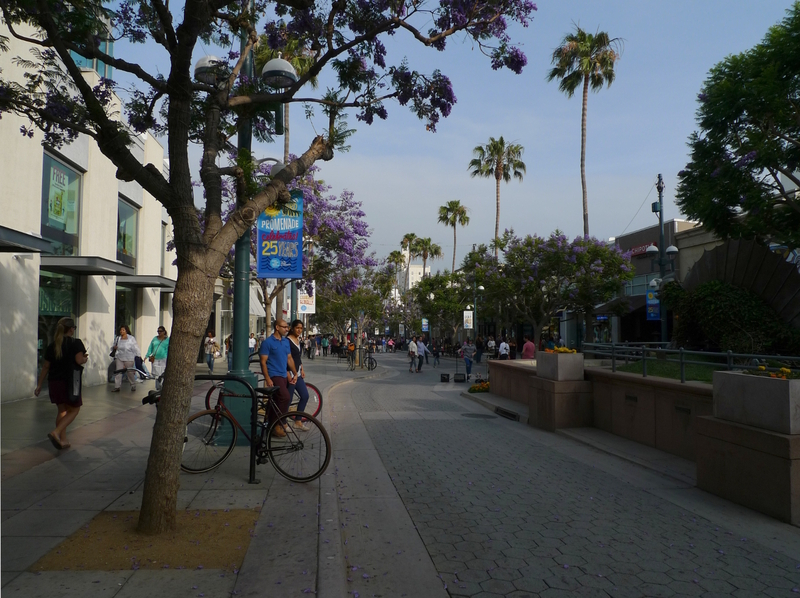 I’ve visited the 3rd Street Promenade in mid-May. 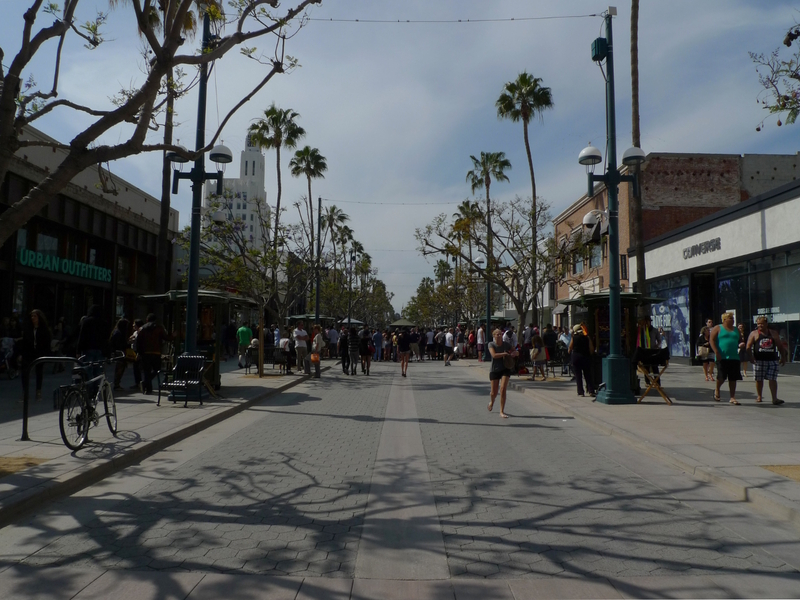 It’s only 3 blocks away from the Ocean and as such had quickly become an open-air tourist shopping center of Santa Monica. 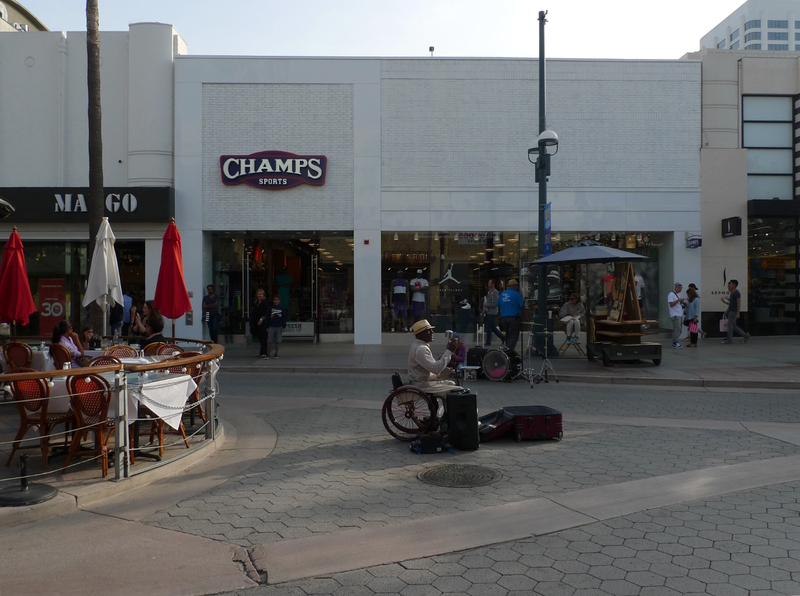 Sadly, over the years local businesses were pushed out by chain stores, but luckily the place still has its unique charm – and that thanks to all the street performers. 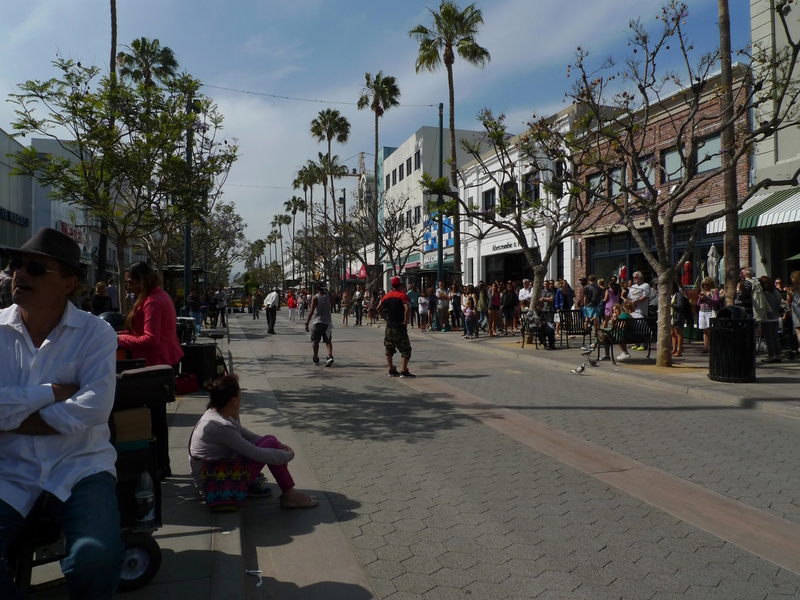 A walk down the 3rd Street Promenade is equivalent to visiting about ten different shows. All of them are short and, admittedly, rather repetitive after some time, but that’s also what keeps one going. 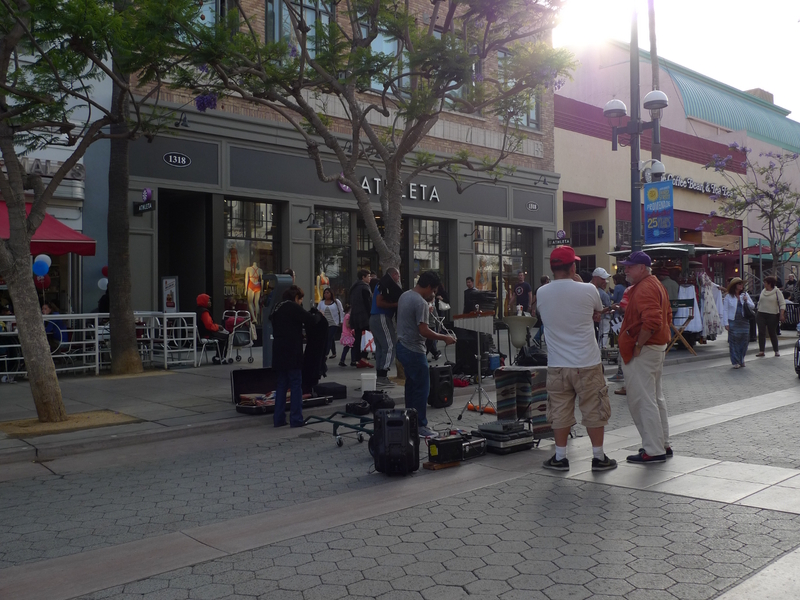 There are country and jazz singers, high school kids showing off their dance skills, and acrobats. Each performer hopes you will pay a dollar or two for watching, though as guys from Veto Cirque du Soleil put it, ‘if you have no money – this is OK, just stay and watch the rest of the show out of respect for us’. Now that’s nice, isn’t it? Alan sings Louis Armstrong’s songs – he’s fantastic to listen to. The fantastic lady in the picture above deserves a few more words. Schérazad Falcón is, as the sign on her post proclaims, ’72 years young’ and believes that ‘old age ain’t no place for sissies’. 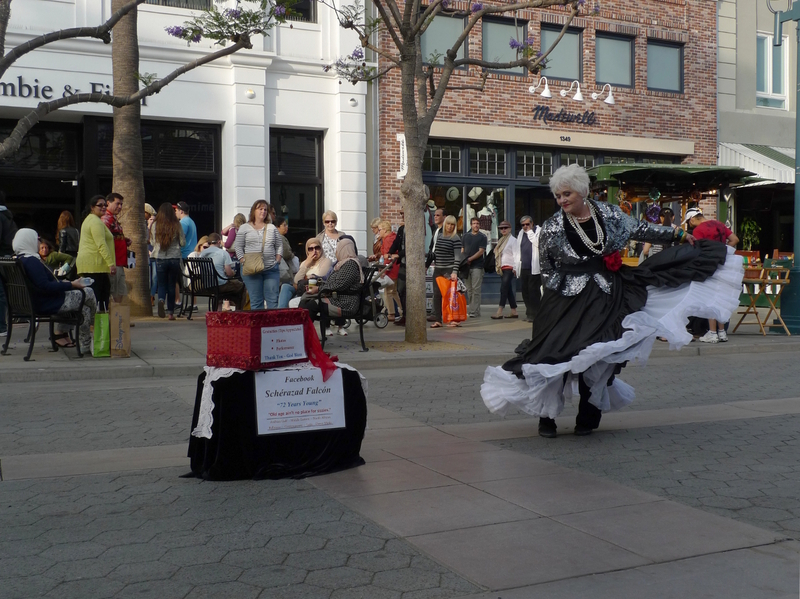 She gives dancing lessons to people her age and younger, and strongly advocates staying in shape. I simply adore her! That’s what I call few bucks well spent! 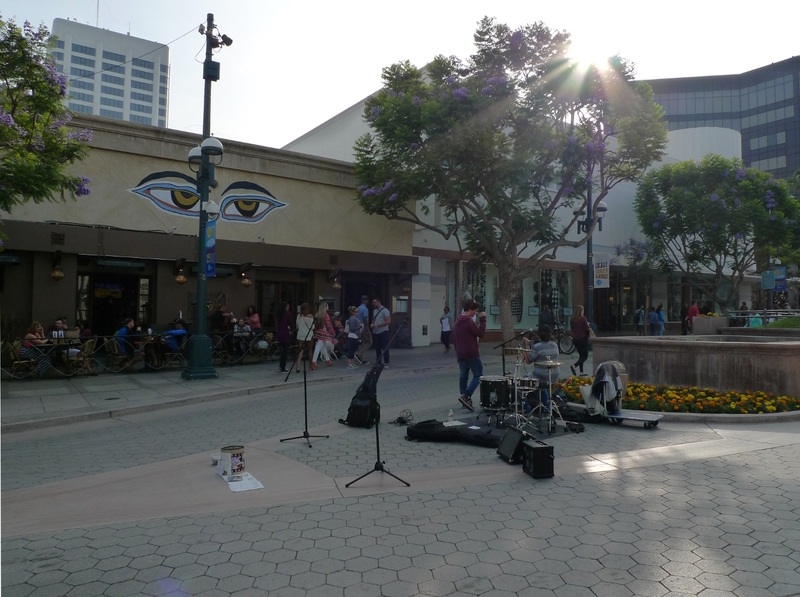 This entry was posted in Art, Santa Monica, Street Show and tagged 3rd Street Promenade, Art, Los Angeles, Santa Monica, Street Show. Bookmark the permalink.